PUBG Mobile Season 4 release date confirmed: What’s new? Tencent Games has announced to release new PlayerUnknown’s Battlegrounds (PUBG) Mobile update soon and before the roll-out of the public, it has revealed some of the changes in the new patch and also offering beta app users to test the preview version and get the feedback. PUBG Mobile is getting a lot of value-added features, weapons, quality-of-life and other good stuff in the upcoming update. Major improvements include the addition of new G36C rifle, Tukshai vehicle, some Zombie skills has been tuned and more. Interested PUBG Mobile users can download the 0.11.5 beta on their Android and iOS phones from here. In a related development, PUBG Mobile is facing a lot of flak in India, as it is being accused of inciting violent behaviour and also parents are worried of 10th and 12th-grade students neglecting studies to play the battle royale games late into the night. 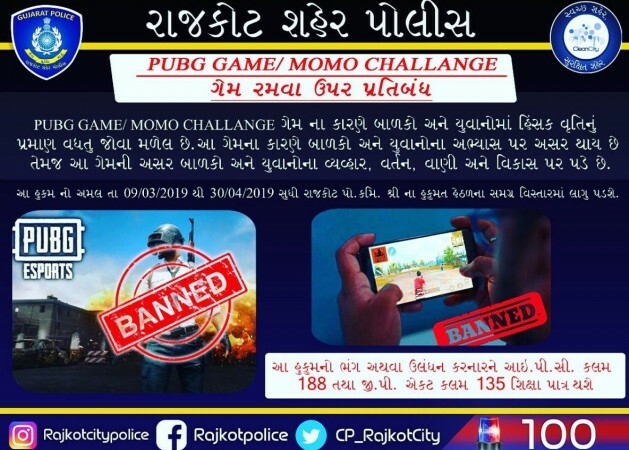 Already, four cities in Gujarat, a western state of India has banned the PUBG Mobile gaming till March 30 and some regions till April 30, as the year-end academic exams take place during this period. Violators will be prosecuted under section 188 of IPC (Indian Penal Code), which is disobedience to an order lawfully promulgated by a public servant.